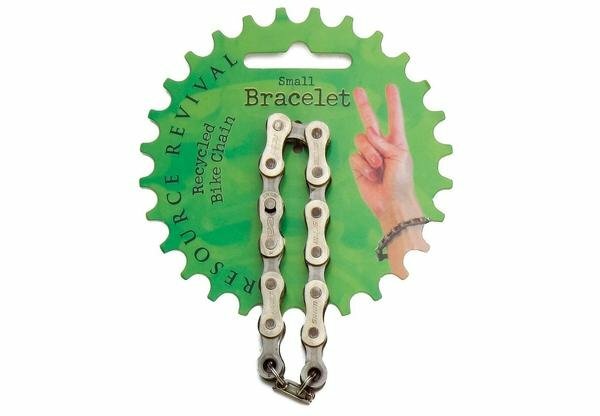 Bike Chain Bracelets make great gifts for men or women bicycle lovers. They are by Resource Revival and come in two sizes, each with a sturdy safety clasp. And unlike others you may find online, these are made from real recycled bike chain. This small size is 7" long.